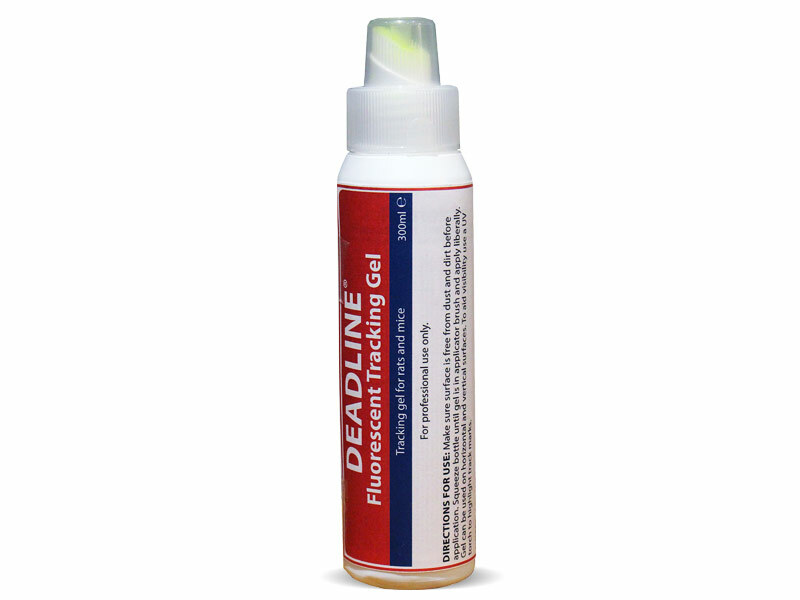 Deadline® Fluorescent Tracking Gel for rats and mice. The gel can be used on horizontal and vertical surfaces. To aid visibility, use a UV torch to highlight rodent track marks.